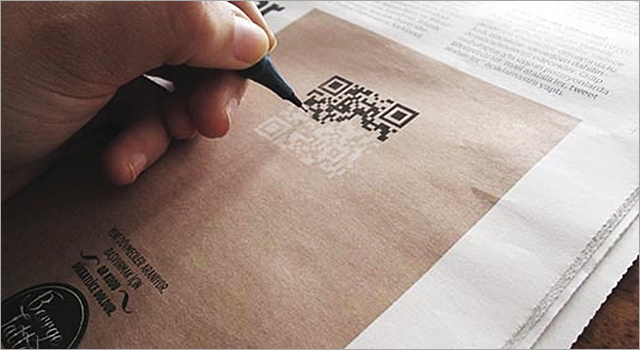 While QR codes continue to be used and abused by marketers around the world, Instanbul ad agency BURO has found at least one useful purpose for them. To help recruit new tattoo artists for Berrge, a local Tattoo Shop, the agency created a magazine ad that required a prospective artist to carefully fill in the black areas of a QR code. Once the dark areas were filled in, the code could be scanned by a mobile phone to link the prospective tattoo artist to the online application form. Just wrapping up today in London is a campaign from Turkish Airlines that leverages QR codes in a citywide scavenger hunt. Digital billboards on transit shelters display QR codes based on the national flags of countries competing in the London 2012 Olympics. Once the user has scanned a QR code they are redirected to a mobile site where the user can ‘checkin’ to that country. Other features of the mobile site are; ‘Locations’ which show other QR Flags are in the area around you, ‘Stats’ show you the total number of QR codes you’ve collected, and ‘Offers’ displaying flight specials from London to that destination.